How cute is this! Perfect for your St. Patrick's Day beer!! 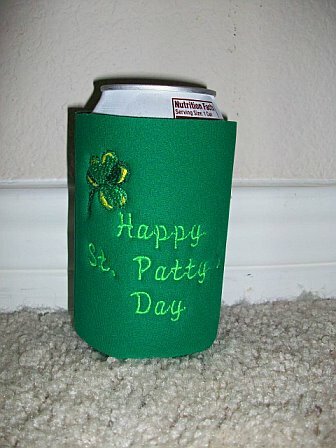 This koozie is embroidered with Happy St. Patty's Day and has an embroidered shamrock on it. I have a can koozie or a water bottle koozie.